The Japan Air Self-Defense Force is always quite busy intercepting planes skirting the Japanese airspace. In the third quarter of year (in the period between July and September 2013), JASDF planes were scrambled 80 times in response to activity of Chinese warplanes (and drones) close to Tokyo’s airspace. The number of alert scrambles is the third highest since 2005 (when the MoD started releasing such figures). On Sept. 8, two H-6G maritime strike aircraft were intercepted by the Japan Air Self Defense Force F-15 scrambled from Naha while flying in international airspace between the Miyako and Okinawa islands. 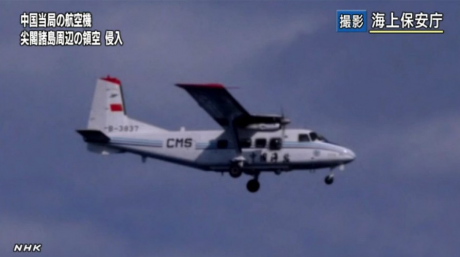 On Sept. 9 a Chinese BZK-005 UAV (unmanned aerial vehicle) was intercepted near the contested Senkaku islands. The dispute about the islands in the East China Sea has surely played a role in the increase of People’s Liberation Army Air Force and Navy activity in the area. However, not only Chinese fighters caused some concern to the JASDF: from July to September, the number of QRA (Quick Reaction Alert) departures in response to Russian planes, reached a peak of 105, up form only 31 of the previous quarter (April – June).